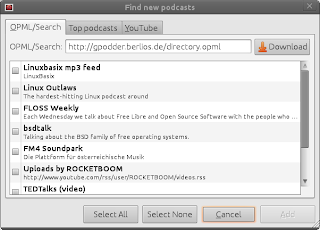 If you want to promote your podcast the gPodder project is offering a simple promotion package: For only € 20 your podcast will be shown on the front page of gpodder.net and will be included in the example podcasts of all gPodder clients for one week. You can either design the promotion space on the gpodder.net front page yourself, or you just provide us your logo and let us do the work. We're currently limiting promotions to one at a time, so your podcast will get the full attention of the gpodder.net visitors and gPodder users. 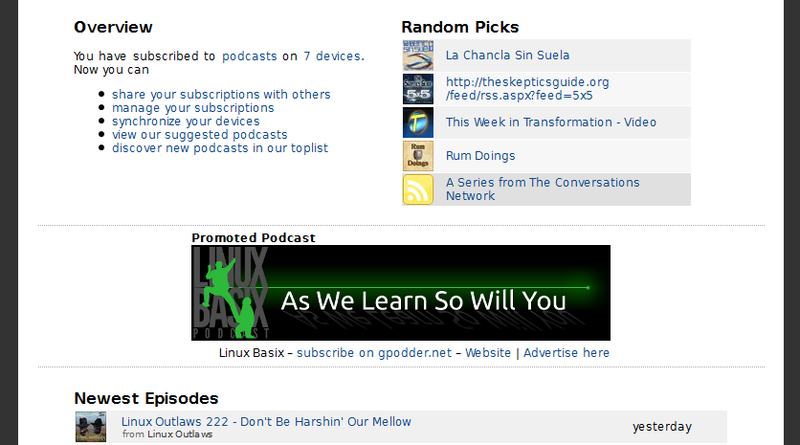 You don't need to be the author /publisher of a podcast in order to promote it, we'll also accept promotions from fans. However, if you are associated to a podcast, gpodder.net has special publisher pages that contain subscriber and listener stats. This service is currently provided for free and is not tied to a promotion. The revenue from podcast promotions will be used to cover our hosting expenses. 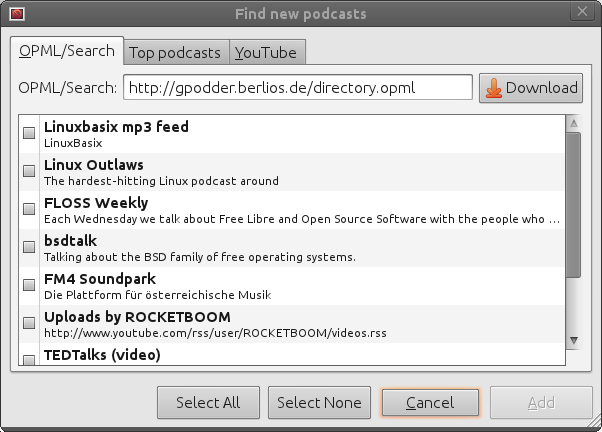 If you want to support gPodder and gpodder.net without booking a promotion, there's also the possibility to donate.